Photo taken by nord. @ Flickr.com. Cricket in the Himalayas, found on Flickr. Shame it’s cropped so tight – would be great to see the batsman and stumps. 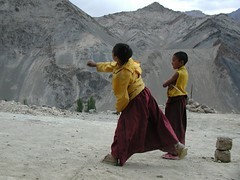 This entry was posted in Cricket and tagged bowling, cricket-photos, flickr, Himalayas, india, photo, photos. Bookmark the permalink.